Get the exact relocation services you need at price you can afford when you choose our customer-focused movers! Finding the right moving company is one of the most important steps towards ensuring a simple and cost-effective relocation. When you’re looking for Mountain View movers that will treat you right while offering the professional services you need for the protection of your belongings, go with Upline Moving. Since 2008, our BBB-accredited and family-owned business has provided comprehensive moving and storage services with a focus on honesty and customer satisfaction. We offer local and long distance moving services, custom moving plans, and flat-rates, and we promise no surprise fees—ever! Local Moving: When you work with Upline Moving, you can trust that your move is in the hands of locals that truly care about you and your belongings! Cross Country Movers: Take the stress out of cross country moving, starting with a custom moving plan that’s designed around your needs and budget. Interstate Movers: Moving out of state is simpler and safer when you choose our expert packing, loading, and delivery services. Senior Movers: Whether you’re downsizing or moving to a retirement community, our courteous and professional movers do everything possible to ease your transition. 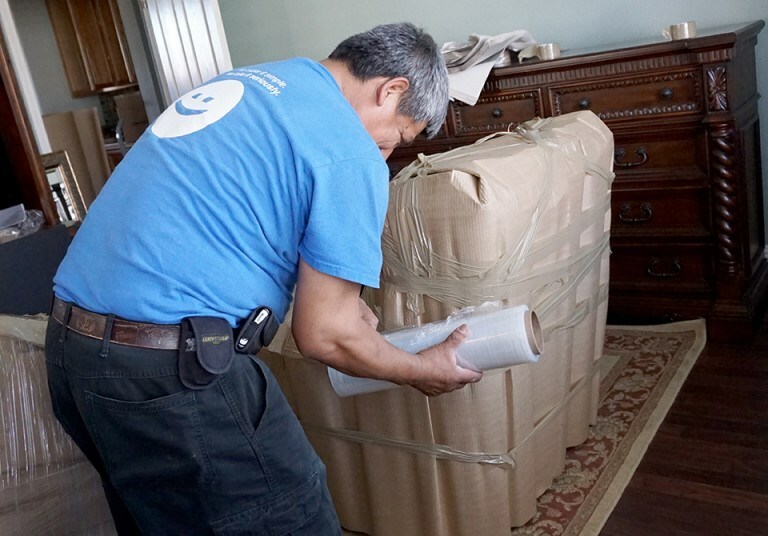 Last Minute Movers: For stress-free relocations in a hurry, our last-minute movers offer the expertise you need! Complete your move using our secure, state-of-the-art warehouse storage. We have facilities located throughout the United States, allowing us to better serve our customers wherever life takes them! Our climate-controlled facilities are complete with fire and theft protection, and inventory management makes retrieving your items simple. Whether you need short-term storage until your move is complete or long-term storage you can actually afford, we have just the plan for you! Moving is stressful enough without the hassles of low-quality moving services or outrageous—and unexpected—expenses. For reliable service, flat rates, and custom moving plans provided by qualified Bay Area movers, call Upline Moving today. You can also request information or a free quote by completing our simple online form at your convenience!